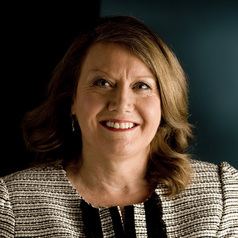 Dr. Young is an Head of Department of Management and Marketing in the La Trobe Business School, where she has worked since 2005. Dr Young has been an academic for over ten years, lecturing in both undergraduate and postgraduate programs in corporate governance, corporate responsibility, management, organisational behaviour, organisational theory, employee relations, and strategic management. As the Associate Professor of Management (Governance and CSR) Dr. Young has been influential in the School becoming a signatory to the UN Principles of Responsible Management Education..
Dr. Young has also taught extensively in international programs including Denmark, England, Vietnam, Mongolia, Singapore and Malaysia. Prior to moving to the education sector she worked in accounting and finance in the public health system, and in chartered accounting, business consulting, taxation and auditing. Dr. Young has experience in a number of executive positions including finance manager, chairperson and board memberships in the health and education sectors; and in employee and employer associations. responsibility, outsourcing, and health sector management.